"To keep a clean sheet and score a couple of goals is a lovely way to start the first leg. 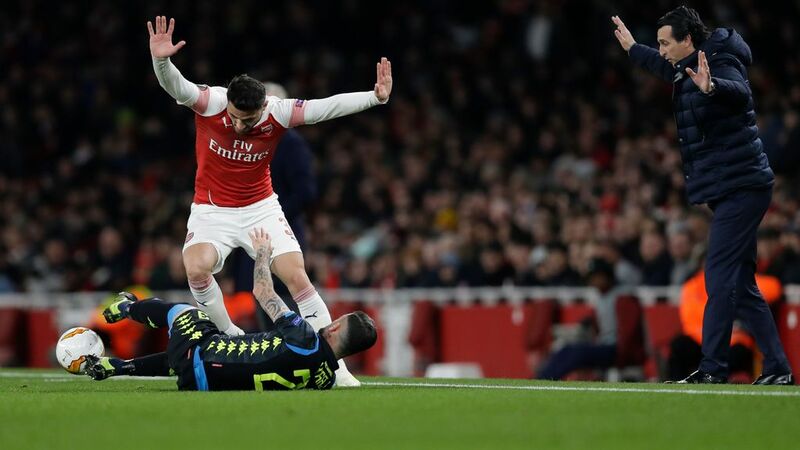 We're delighted with that," said Ramsey, who should have added the third when he blazed over with nine minutes left, to BT Sport. "We can go into the second leg with a little bit of a cushion, but we know it will be a difficult place to go... They are a quality team." Chelsea meanwhile escaped from Eden Arena after a bitty display that saw Kepa Arrizabalaga have to make some fine saves to keep the Czechs out before Alonso nodded home Willian's pinpoint cross four minutes from time to seal a 1-0 win. A miserable week for Manchester United concluded with a 4-0 crushing defeat by Everton in the Premier League.